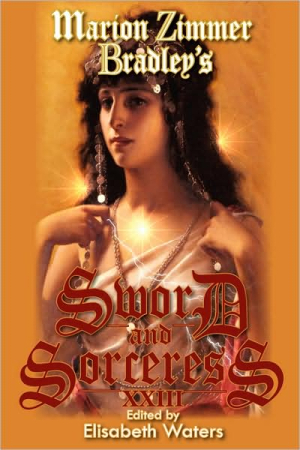 My submission to MZB’s Sword & Sorceress anthology was rejected this year. I tried something new, because I want to do a collection of my Pimchan stories, so I needed to let the exclusive period run out. Writers, you understand this. Non-writers, it’s only important in publishing. ANYWAY, I’m gathering my Pimchan the Warrior stories and will probably write a new one to include in the collection. Meanwhile, here’s the beginning of the first Pimchan story. Seven years passed between this story and my next, and I let seven years pass for the characters. I wrote new stories about them the next three years and sold them to MZBS&S. The Male and Female grew up, Pimchan gave them names and their freedom, the Male became a warrior and the Female became Nadia the household manager. Pimchan’s Female did the unthinkable–she burst through the workout room doorway, knocking over the rosewood filigree screen, and entered her Mistress’ practice arena uninvited. Pimchan, ripped from battle meditation, whirled from her knees to her feet and grasped the girl in a double-handed grip designed to tear soul from body. With a brief quiver of muscle, she stopped herself on the very brink of harm. The lack of repentance rang alarms. Pimchan released her gently, registering the panic of her female slave, a dark-haired and dark-eyed child of twelve, padded with baby fat. When the girl turned back toward the doorway, Pimchan grabbed her arm. Pimchan threw the girl across her shoulder and ran, talking as she went, the girl answering as best she could between bounces. Pimchan felt the girl shudder as they reached the back wall and the Female craned around to share Pimchan’s view of the bloodied bricks. “Is he dead?” her Female asked. “If he were dead, would they have taken him?” She put the girl down, ignoring the child’s agitated fidgeting. Pimchan heard the unspoken sentence: You can catch them if you hurry! She inspected the blood on the wall, rubbing the runes tattooed on her own shaven head to help sharpen her vision. If you can’t wait for the collection, this story was in Sword & Sorceress XXIII, which is available in print and for Kindle and Kindle apps. A WRITING PROMPT FROM ME TO YOU: Someone is interrupted at an inopportune moment. This entry was posted in Sample Sunday. Tagged fantasy, short story excerpt, strong female character, warrior woman.